The 2015 Tribeca Film Festival (TFF), presented by ATandT, today announced a special celebration to mark the 40th Anniversary of Monty Python and the Holy Grail including a special screening of the film and the international premiere of the documentary Monty Python - The Meaning of Live directed by Roger Graef and James Rogan. In honor of the anniversary the Festival will also host special screenings of classic Python films Monty Python’s Life of Brian and Monty Python’s The Meaning of Life. The five surviving members of the legendary comedy group, John Cleese, Terry Gilliam, Eric Idle, Terry Jones, and Michael Palin, will come together for the special presentation of Monty Python and The Holy Grail, which will screen on Friday April 24 at The Beacon Theatre. Tickets to the cult classic Monty Python and the Holy Grail go on sale on March 23 at www.tribecafilm.com. The 2015 Tribeca Film Festival will take place April 15-26 in downtown Manhattan. Continuing its celebration of the Pythons, the Festival will debut Monty Python - The Meaning of Live. Directed by Roger Graef and James Rogan, this feature-length documentary offers unprecedented access to the preparations and staging of the Pythons’ 2014 reunion shows at The O2 in London and gives a fascinating insight into the personalities, relationships, and circumstances that made the Pythons into a global phenomenon. Dive into the history of Monty Python on stage and discover the genesis of some of its most well-known pieces, as they prepare for their final live show. The documentary will premiere on Saturday, April 25, Monty Python’s Life of Brian will screen on April 25, and Monty Python’s The Meaning of Life on April 26. Each film presentation will be followed by a Q&A with some of the members of Monty Python. Monty Python and the Holy Grail, directed by Terry Gilliam and Terry Jones (UK) – Special Screening. Monty Python re-creates England of 932 A.D in their first film Monty Python and the Holy Grail. When King Arthur enlists Knights to join his Round Table, they are inspired by God to go on a quest for the Holy Grail that is constantly interrupted by all manner of challenges. Monty Python - The Meaning of Live, directed by Roger Graef and James Rogan (UK) – International Premiere, documentary. 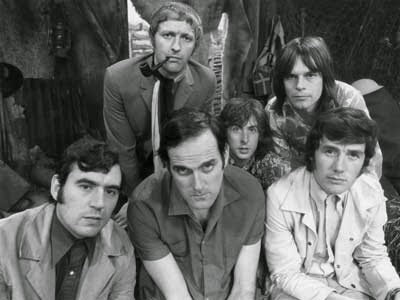 While perhaps best known for its eminently quotable films, Monty Python has performed its signature, surreal humor in live shows since the group’s earliest days. Dive into the history of Monty Python’s on stage and the genesis of some of its most well-known pieces as they prepare for their last-ever live shows at The O2, London in July 2014. 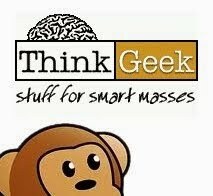 Monty Python - the Meaning of Live is a hilarious and illuminating survey of what is takes to bring Monty Python to the stage. Monty Python’s Life of Brian, directed by Terry Jones (UK) – Special Screening. Monty Python delivers an anarchic satire of both religion and Hollywood's depiction of all things biblical with their second film. Brian Cohen, born in Bethlehem in the stable next door, by a series of absurd circumstances is caught up in the new religion and reluctantly mistaken for the promised messiah. Monty Python’s The Meaning of Life, directed by Terry Jones, Terry Gilliam (UK) – Special Screening. Monty Python examines birth, life, death and fish in their third, final, and probably most tasteless yet funniest feature film that finally reveals The Meaning of Life.